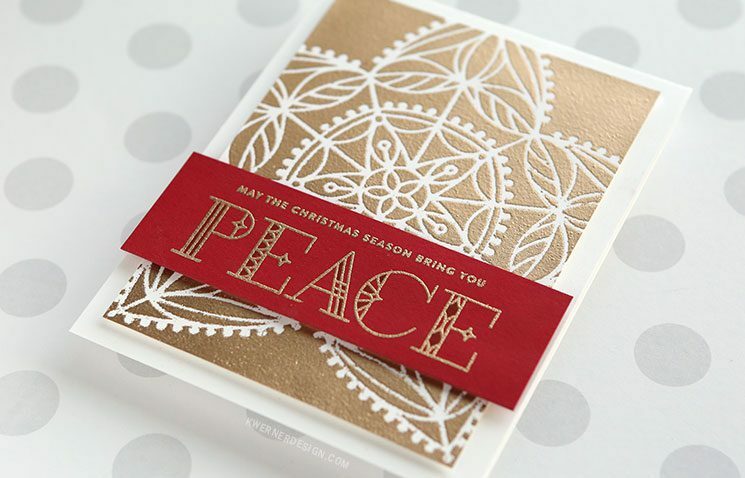 Today I’m playing with another stencil from the release, the Christmas Star stencil. 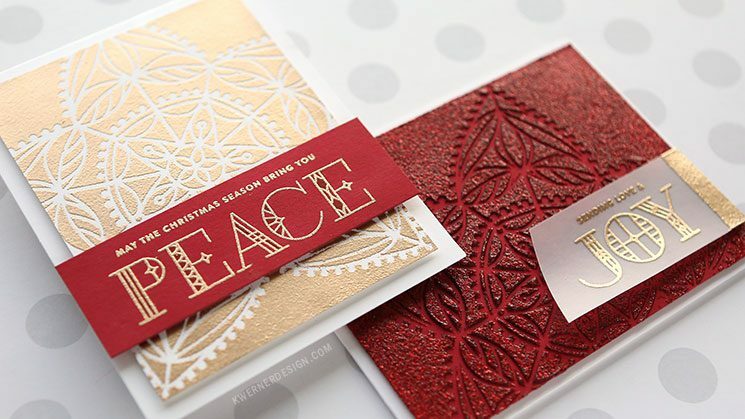 I did two kinds of embossing, the first being glitter embossing paste. I used a red card stock (Schoolhouse Red card stock) and Garnet Red Glimmer Paste from Nuvo to create a tone on tone effect. For the second kind of embossing, I did heat embossing. I pressed clear embossing ink into Neenah Classic Crest Solar White card stock using a Mini Round Blending Tool. I found this application to give me the best results, as opposed to pressing the ink pad directly into the stencil-covered card stock. I found that the foam tool gave me a bit more control. 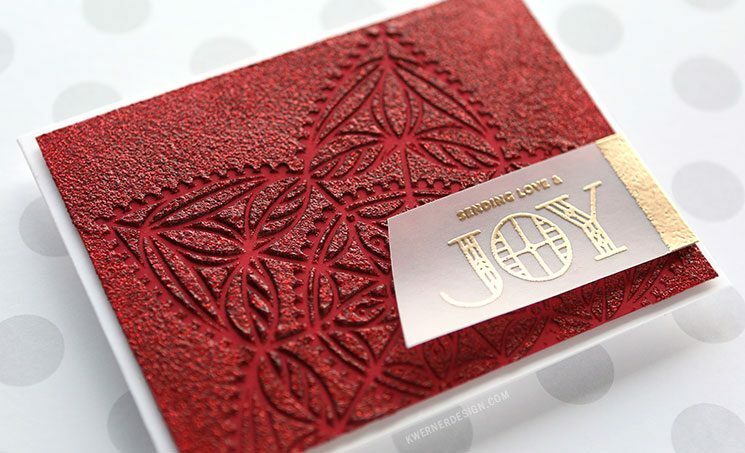 I then applied Simon Says Stamp Antique Gold heat embossing powder over the entire surface. 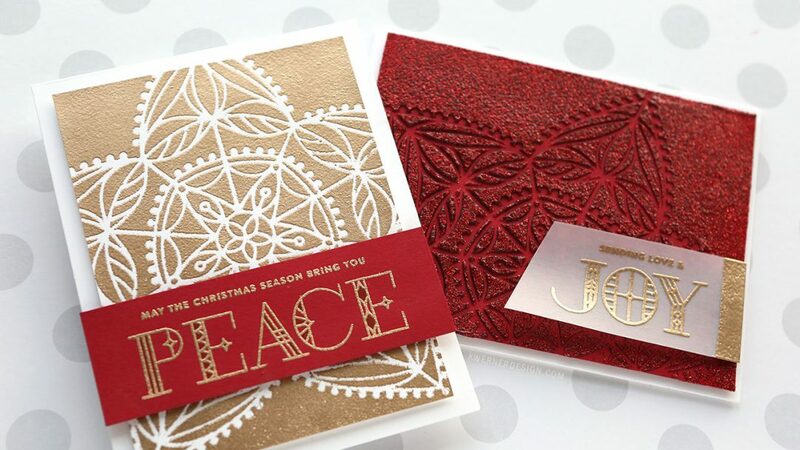 For both cards, I created greeting areas using the new Stained Glass Greetings stamp set. 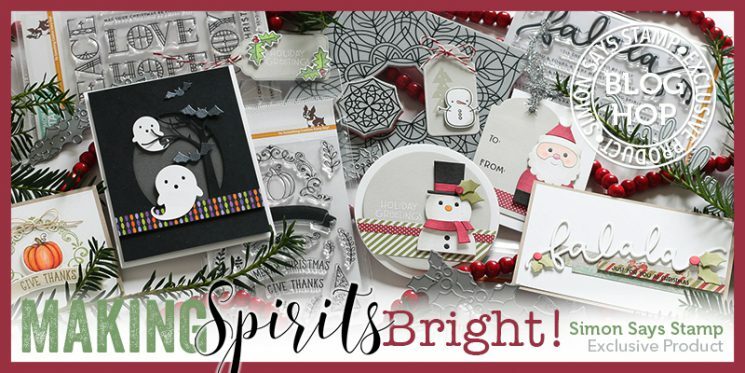 Merry & Bright Blog Hop + GIVEAWAY! As mentioned above, today’s post is part of a blog hop! That means you can find even more inspiration from the release on many other blogs! Also, Simon is giving away a $25 gift card to their store at each stop on the hop. Just leave a comment on this blog post (scroll to the very bottom to comment) for your chance to win. Increase your chanced of winning by commenting at every blog hop stop! Winners will be announce on the Simon Blog on Tuesday, October 17, 2017. Good luck! Now get hopping! Your next stop on the hop is the amazing Debby Hughes! You can also start back at the beginning of the hop at the Simon Blog.